PARIS, April 16. /TASS/. 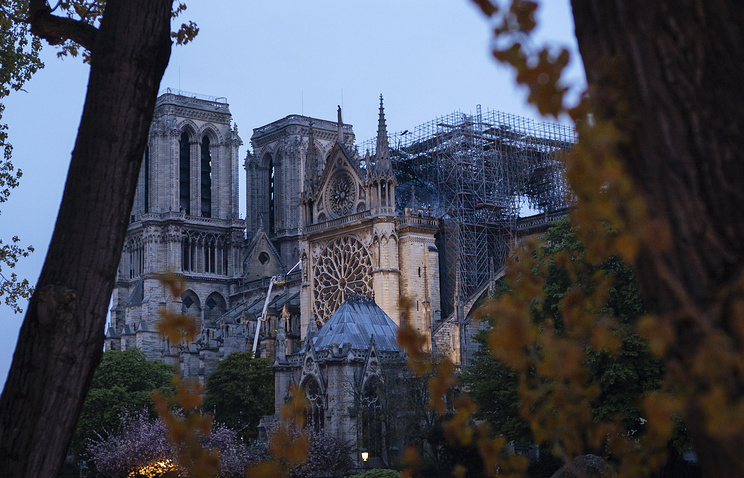 The fire at Notre Dame Cathedral in the French capital of Paris has been fully extinguished, Spokesman for the city’s Fire Department Gabriel Plus told reporters. "We have succeeded in fully extinguishing the fire," he said. Nevertheless, according to the spokesman, firefighters will remain at the site for the day, ready to put out residual fires. Plus also said that "now architects and experts will need to assess the scope of work inside the building." However, police experts will be the first to enter the cathedral to figure out which of its treasures must be evacuated in the first place. According to reports, the damage to the building may eventually turn out to be less devastating than estimated before. A parish spokesman said that "the Cathedral’s stained-glass windows have survived." In addition, despite earlier reports, Notre Dame’s famous organ has also been left intact.